Review: King Krule, '6 Feet Beneath The Moon' On his first album as King Krule, he devotes himself to mapping the varieties of growl his open throat can muster. 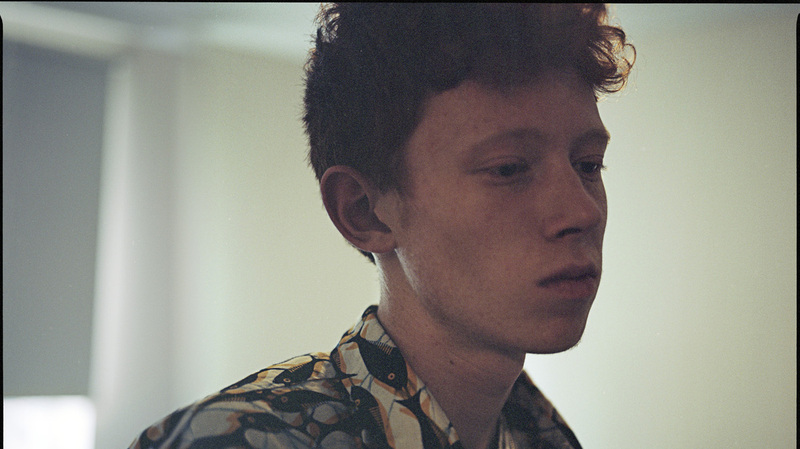 King Krule's debut album, 6 Feet Beneath The Moon, comes out August 24 — the day he turns 19. When Archy Marshall first emerged as Zoo Kid in 2010, he was a hyped-up curiosity — a skinny, pink-cheeked 16-year-old alone on stage, dressed in a blousy button-down and a ball cap, quietly plucking at an electric guitar. Then he'd open his mouth to reveal a gigantic voice. Marshall took his time capitalizing on the early curiosity, releasing just a few songs that expanded on his surprising mix of rawness and maturity without dulling the mystery of what he might do with that instrument. On 6 Feet Beneath The Moon, his first album as King Krule, Marshall gently expands the instrumentation of his earlier recordings, incorporating piano, shimmering electronic textures and horns. His voice, on the other hand, gets stretched to the breaking point. The songs draw links between the elements he draws from jazz, blues, rap and folk history; he delivers them with the voice of a mad street-corner shouter, out of the body of an extra from Quadrophenia. This is a deeply solitary-sounding album, but an intimate one, too. Every once in a while, Marshall comes off like the teenager he is, sullen and hesitant — "If only you could see me, my shadow crossing your path," Marshall croons in the lovely "Baby Blue" — and you remember what a lonely endurance test adolescence can be. There are moments of beauty on 6 Feet Beneath The Moon, as in the serenely seductive "Neptune Estate" or the chiming guitars of "Borderline" and "Out Getting Ribs," a holdover from his Zoo Kid days. Whether he's showing off its hard edges or allowing it to stretch out softly, Marshall always uses his voice to pull you closer.